The lineup and dates for Cosmic Gate’s sunset cruise for this year’s WMC/MMW has been announced. 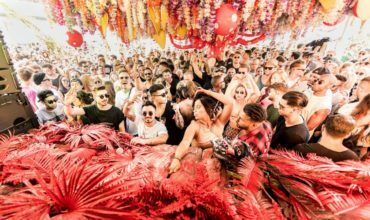 Having been named as one of Miami New Times “2017’s five most anticipated WMC Trance Parties”, the cruise kicks off on the 25th of March and will head into the ocean for 6 hours of music and festivities. After his much-acclaimed warm-up set at last year’s edition, DC’s GLOW resident Roberto Gonzalez gets behind the decks once more to support the men from ‘Materia.’ Canada’s Arnej will also feature on the popular cruise representing his all-new Be The Change label. 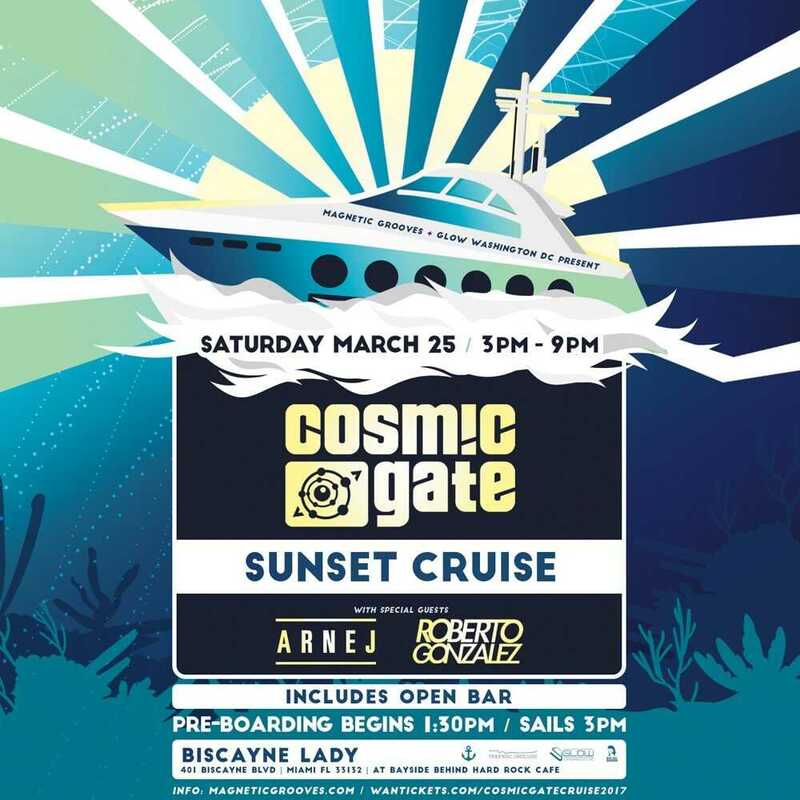 Taking place on the cruise ship ‘The Biscayne Lady,’ Cosmic Gate’s sunset cruises have made a name for themselves over the last 7 years. One of many popular cruises that take place during Miami Music Week, Cosmic Gate have been one of the longer-running acts to run their own cruise. Pre-boarding for the cruise begins at 1:30 PM while the Biscayne Lady will set sail at 3 PM. Cosmic Gate have also announced that they will be special guests at Above & Beyond’s annual WMC label party. 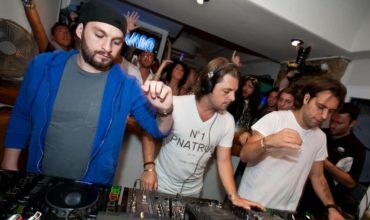 You can also catch them playing at the Anjunabeats Pool Party on the 26th of March at the Raleigh on South Beach, for which you can get more details here. You can pick up your tickets for the Sunset Cruise, here. 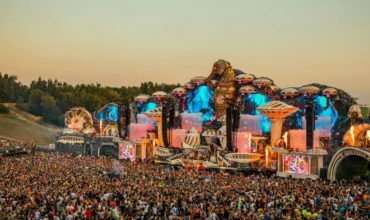 Hey Buddy!, I found this information for you: "Cosmic Gate’s 2017 sunset cruise lineup announced". 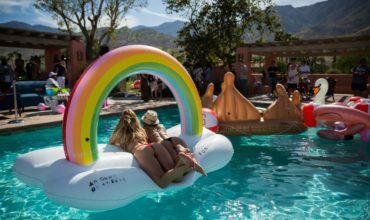 Here is the website link: https://themusicessentials.com/news/cosmic-gates-2017-sunset-cruise-lineup-announced/. Thank you.